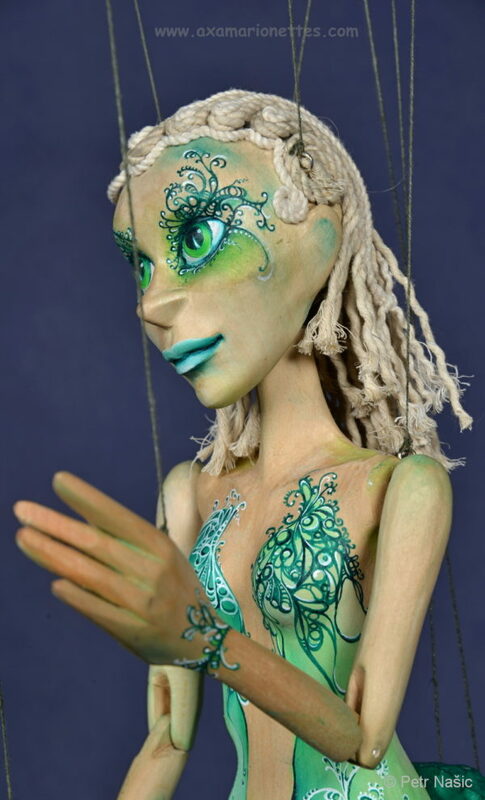 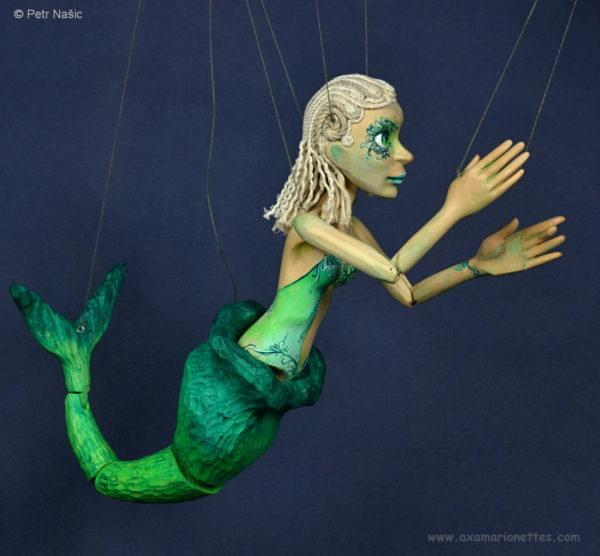 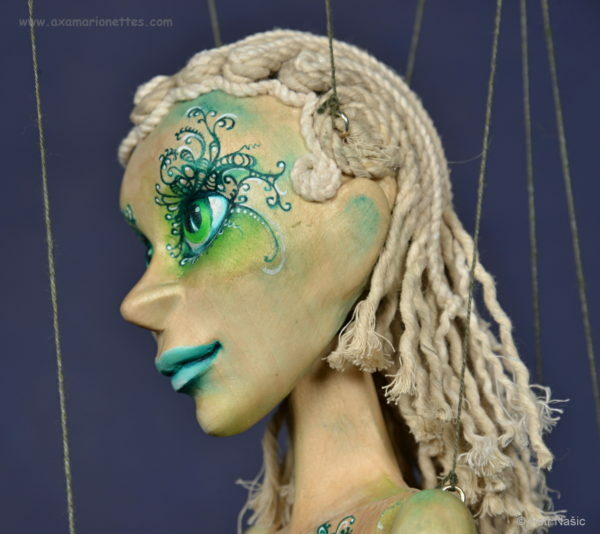 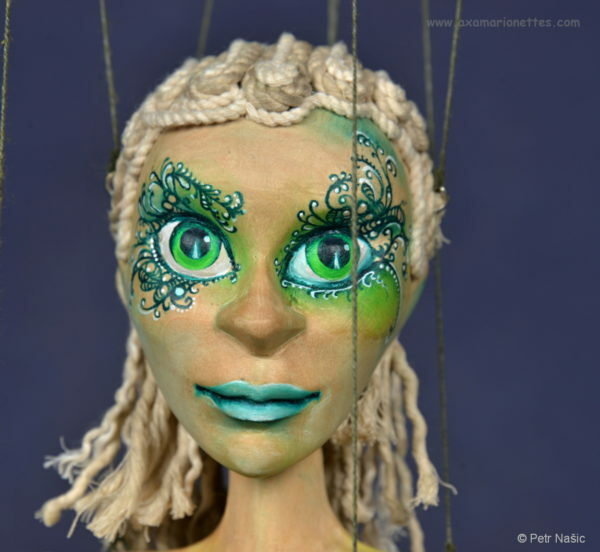 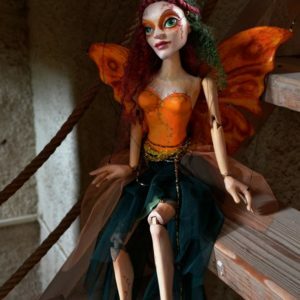 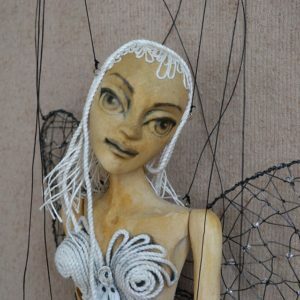 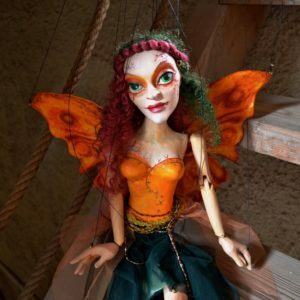 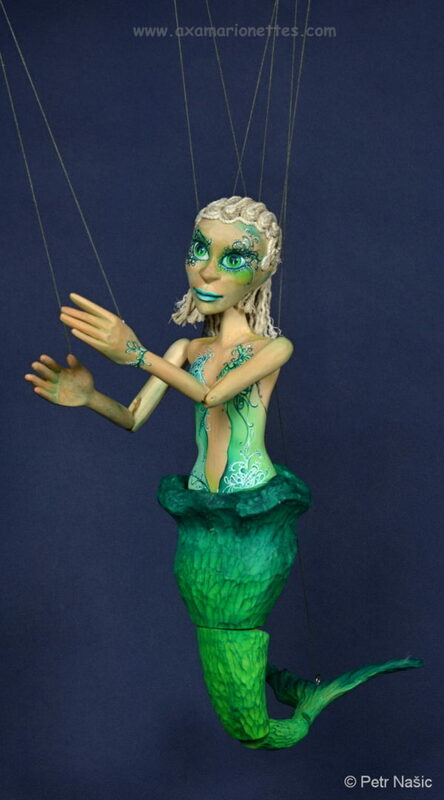 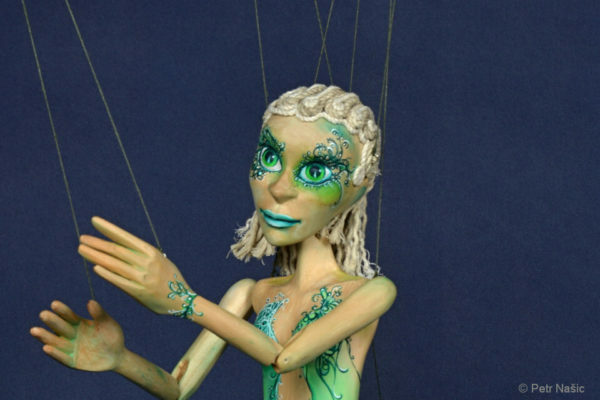 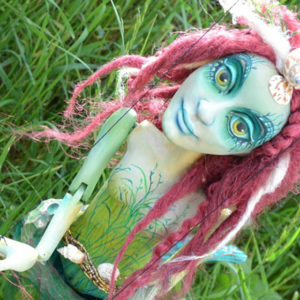 The delicate beauty of this marionette can take you to the magic of deep sea. 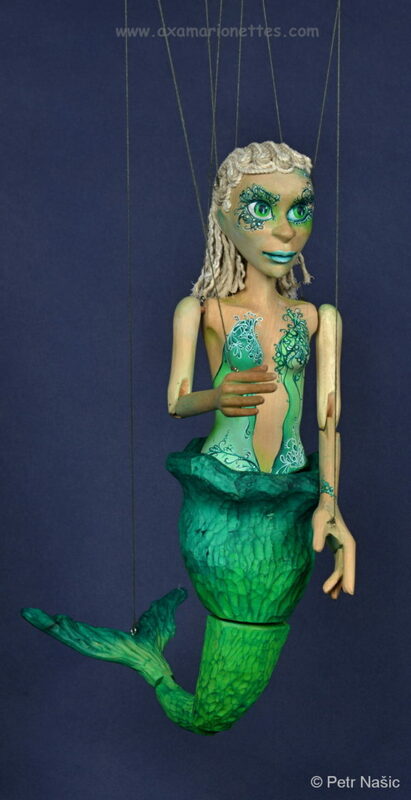 You can enjoy the magical world of unknown sea creatures with her and travel on waves of fantasy. 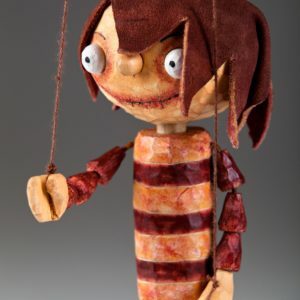 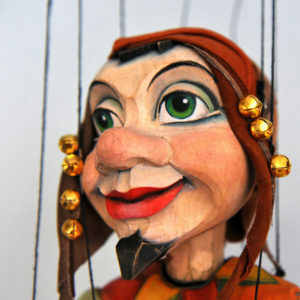 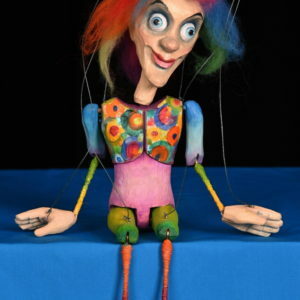 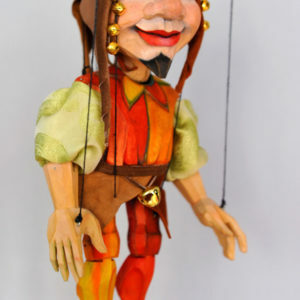 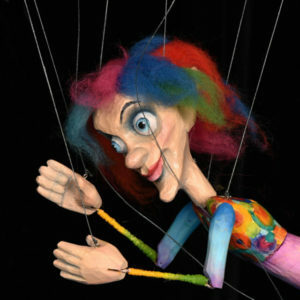 Each puppet is a unique original, hand-carved, hand-painted and hand-sewn, so there will be slight deviations from the puppet picture shown on the page. 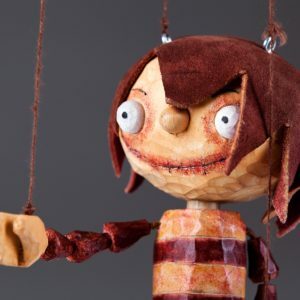 Do you have a wish to make your own family puppet theater? 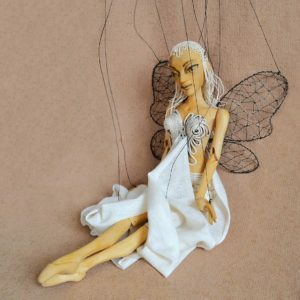 Would you like to give your friend or somebody you love an original present? 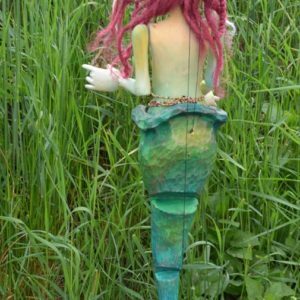 Why not to answer by this Mermaid to these questions.